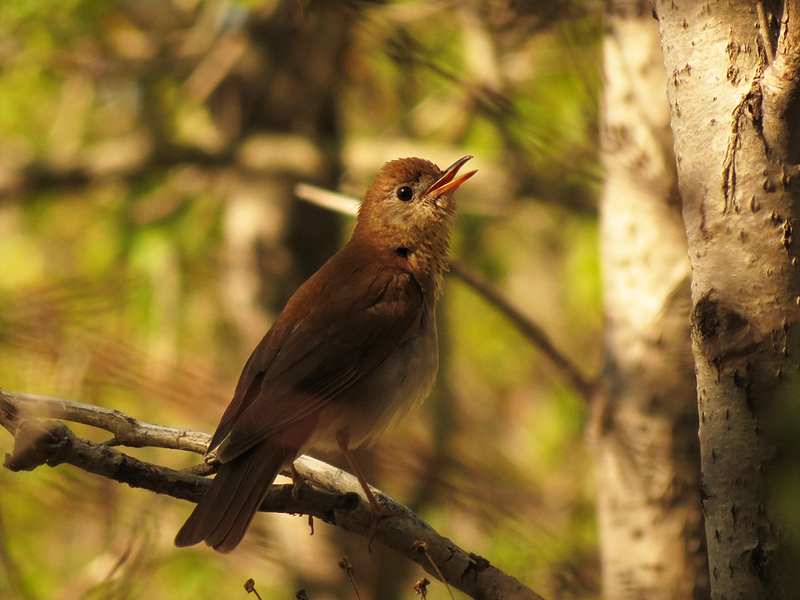 What does a veery sound like? Oh, vee-ur, vee-ur, veer, veer! Brian’s note: Like our state bird, the veery gets its name from the sound it makes – an ethereal, descending sprinkle of notes. All thrushes have a touch of magic in their voices. Our hermit thrush and wood thrush are perhaps Maine’s most famous singers. The hermit thrush, in fact, is commonly dubbed as having the most beautiful song. But the American robin and Eurasian blackbird (of the Beatles tune) have it, too. Just don’t forget about the veery.